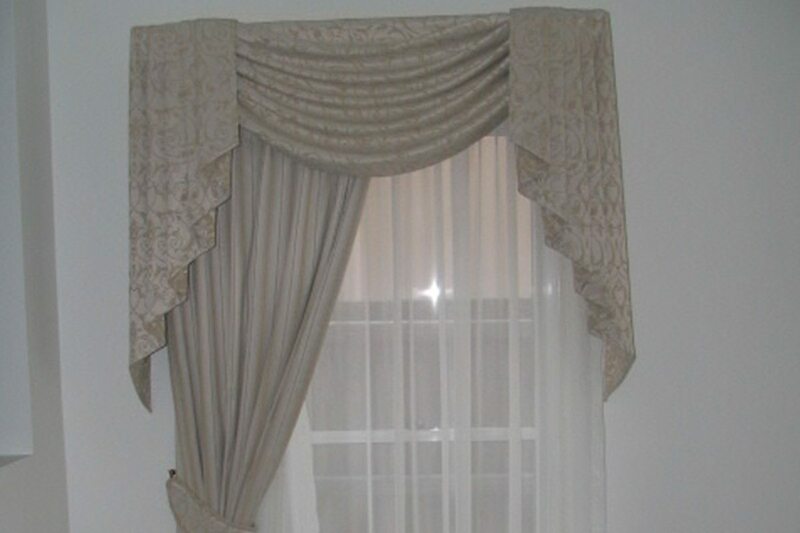 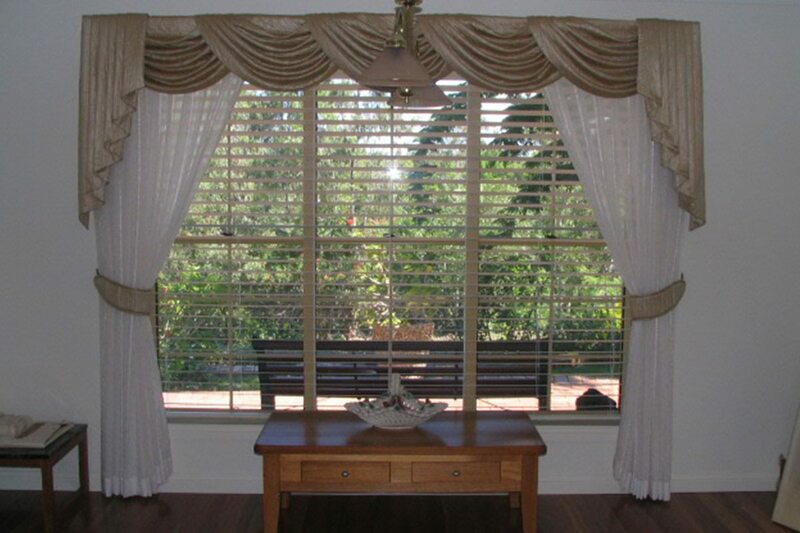 Swags and tails on a large bay window. 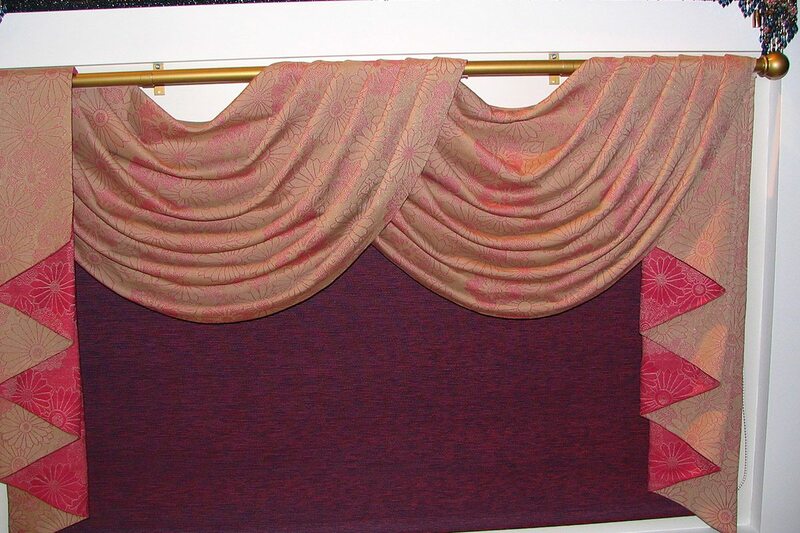 There are Jabots side drapes and quilted tie backs all from matching fabric with atriple pinch pleat sheer under. 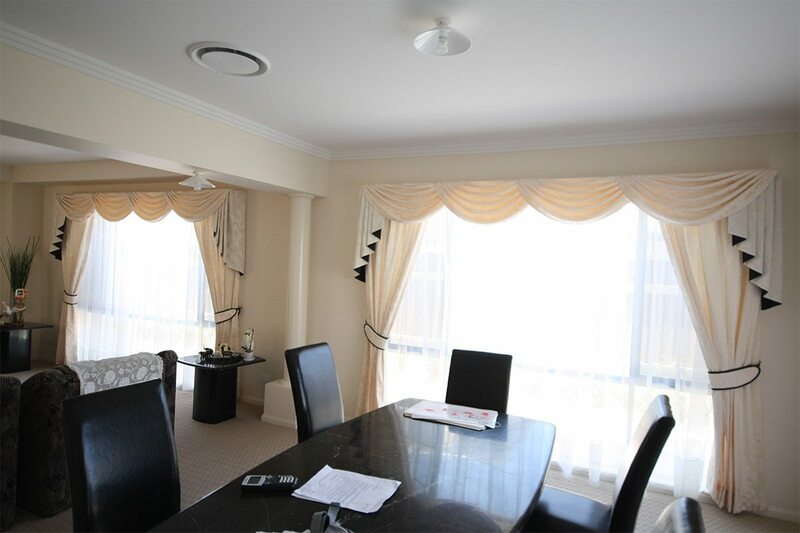 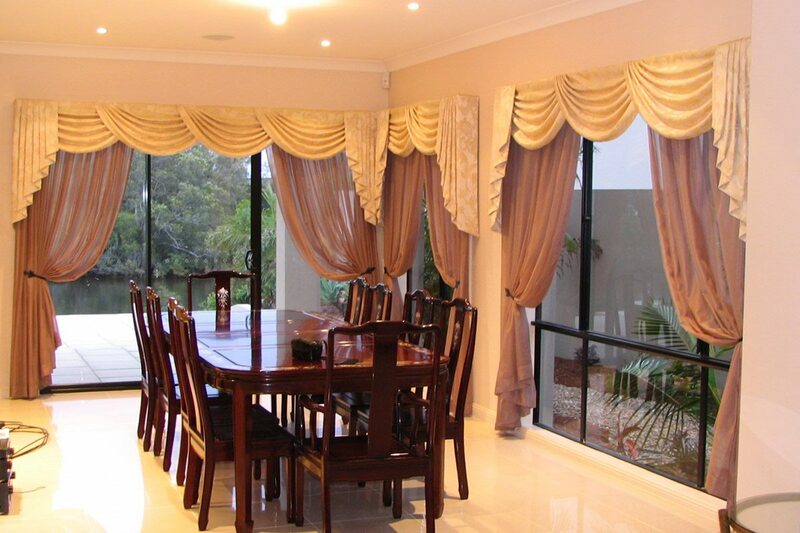 Large open plan home with swags and tails. 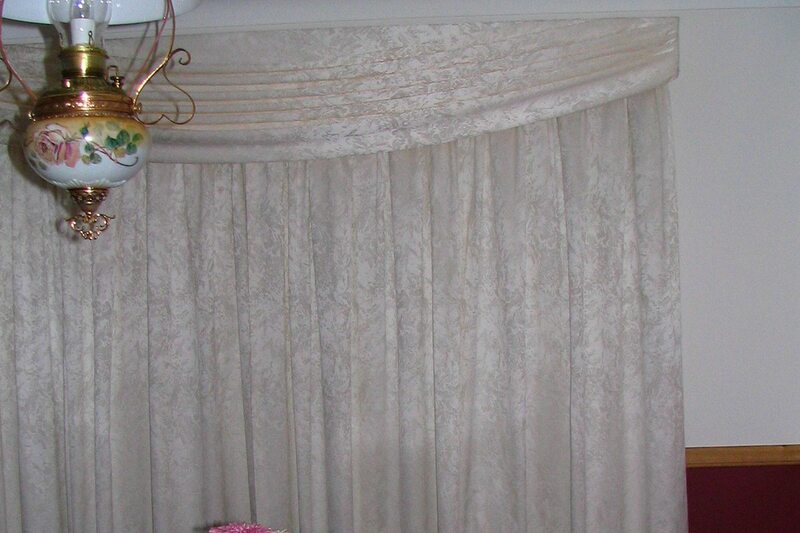 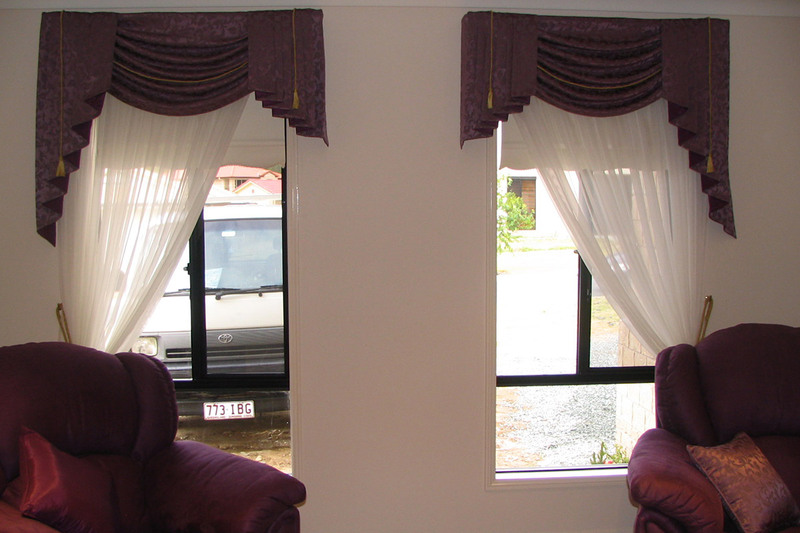 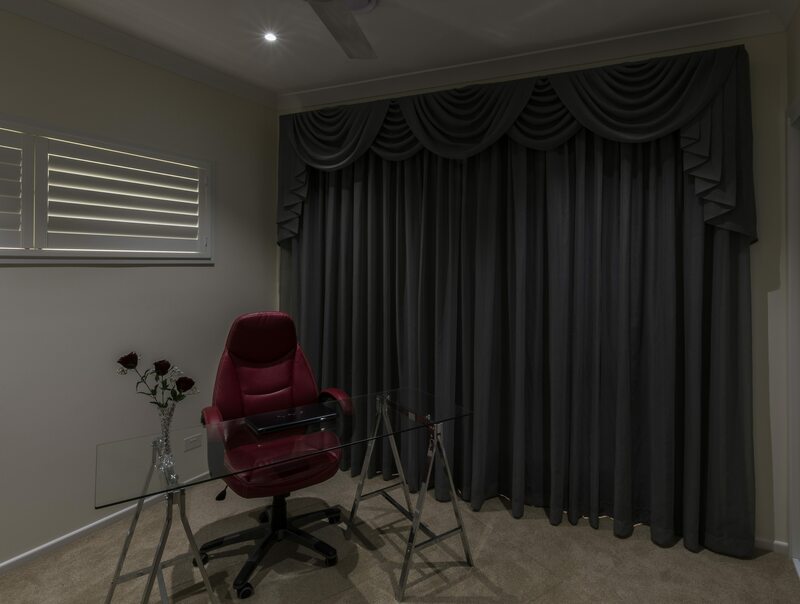 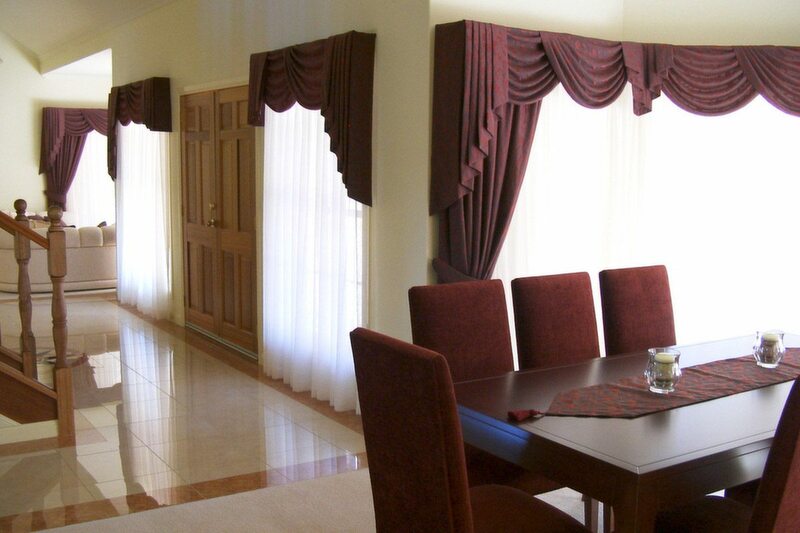 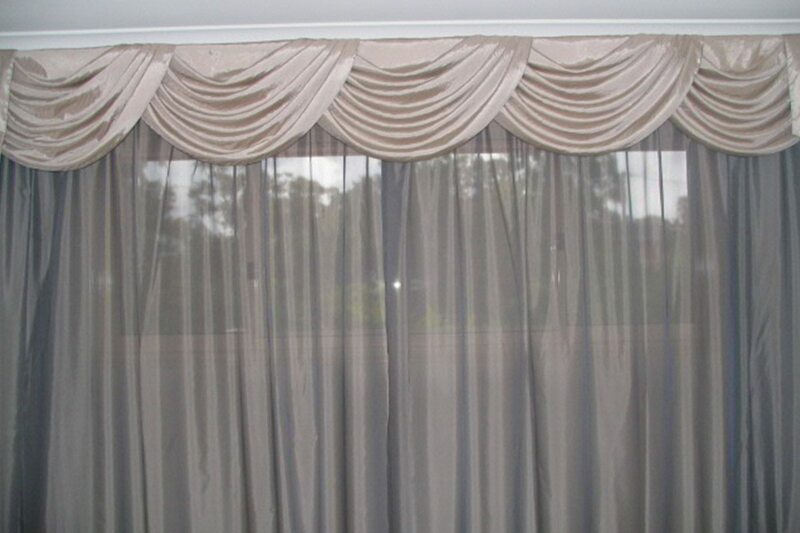 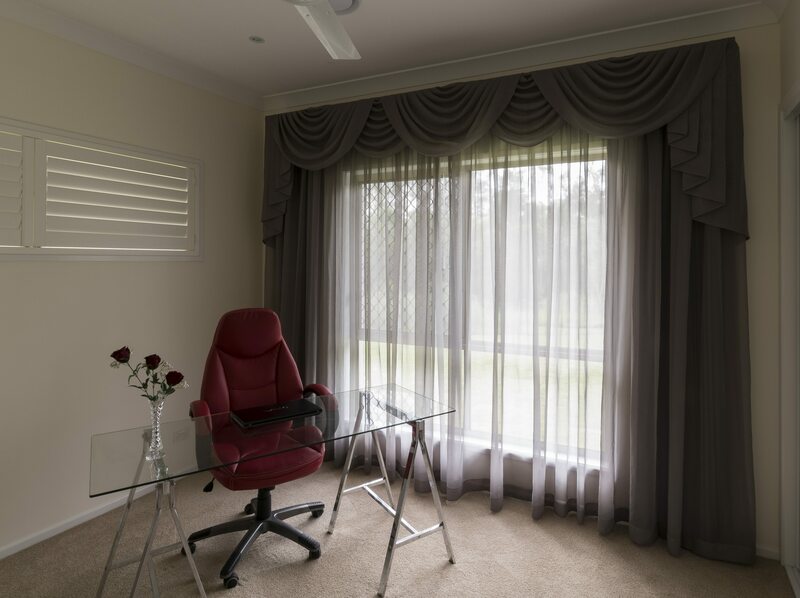 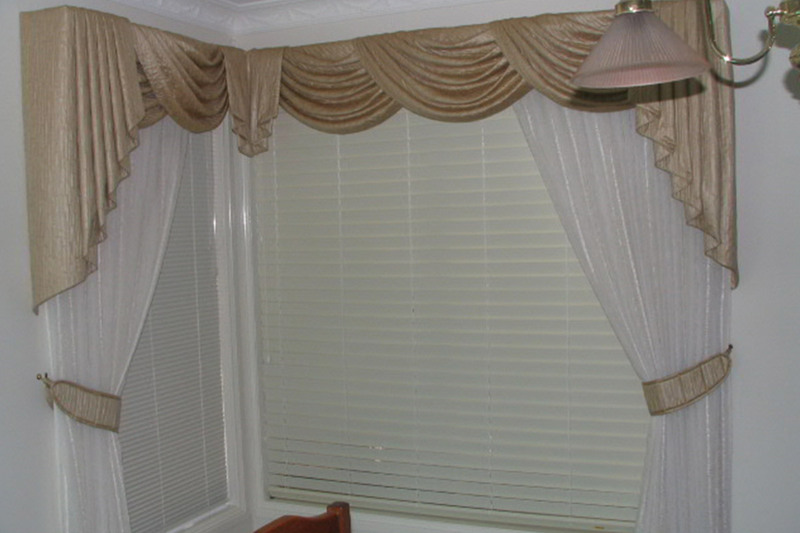 Single swags with two tails with sheer and a roller blind behind. 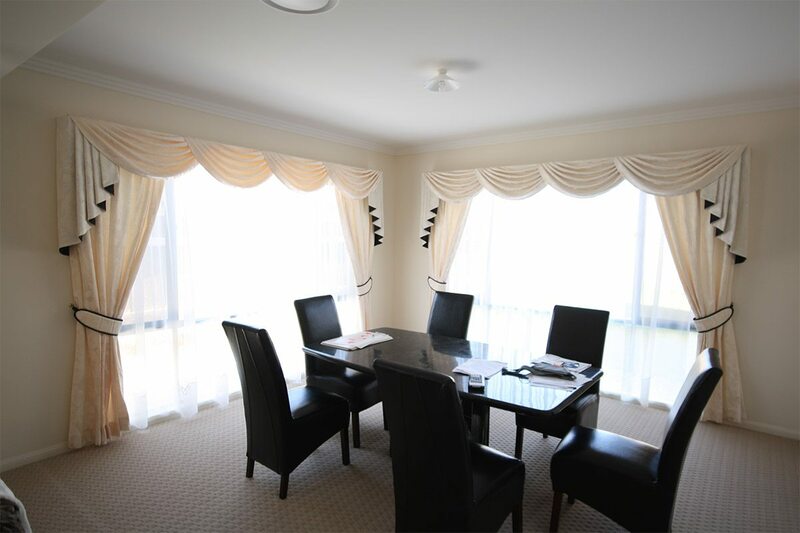 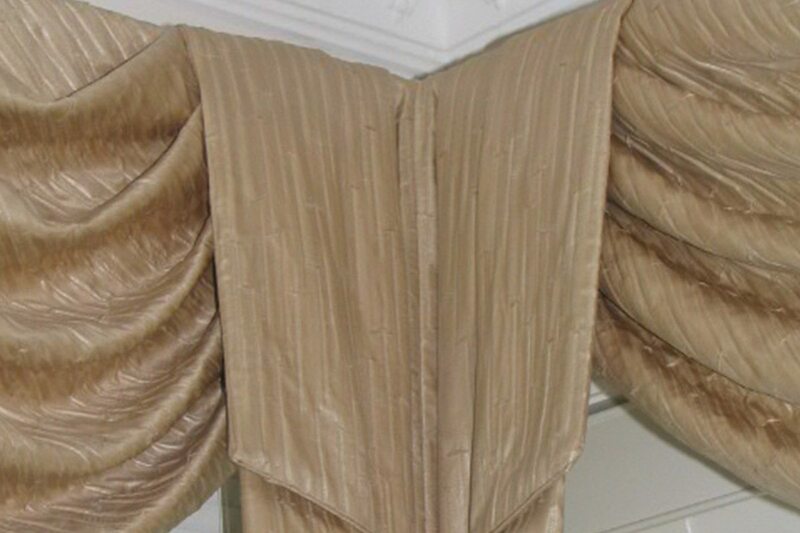 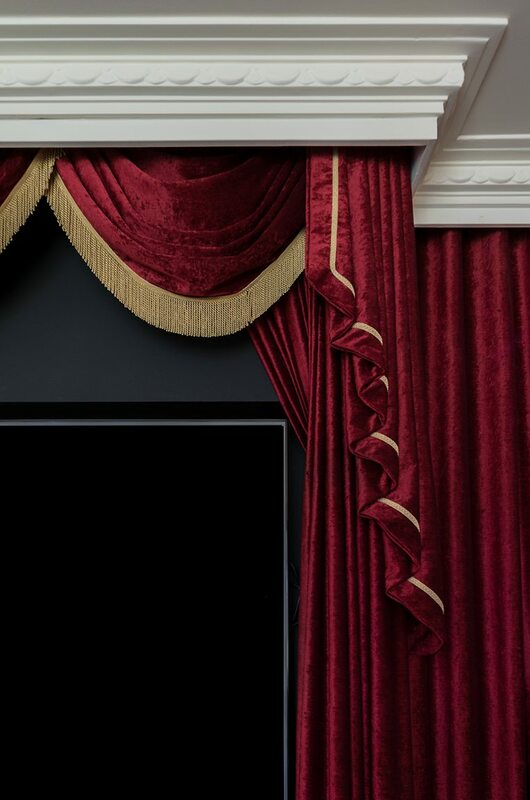 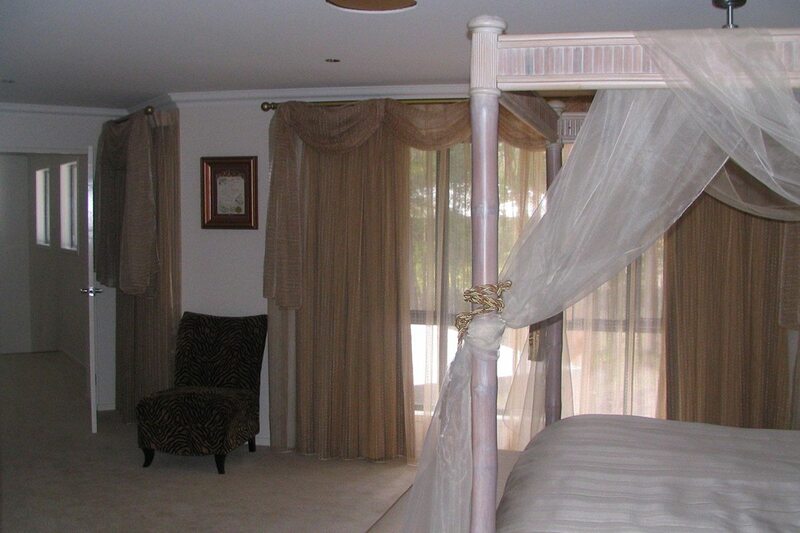 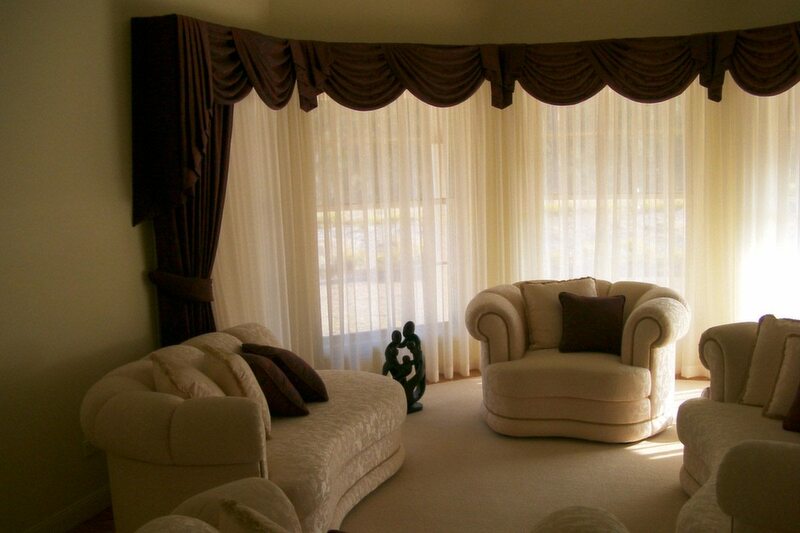 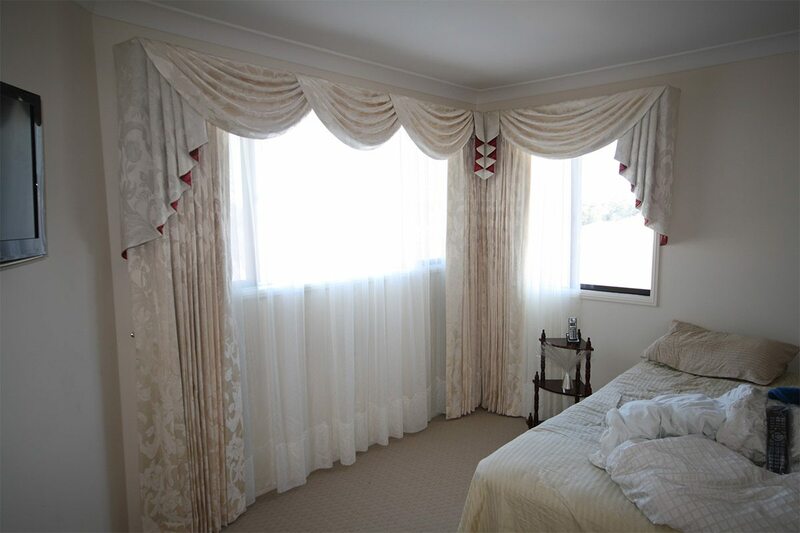 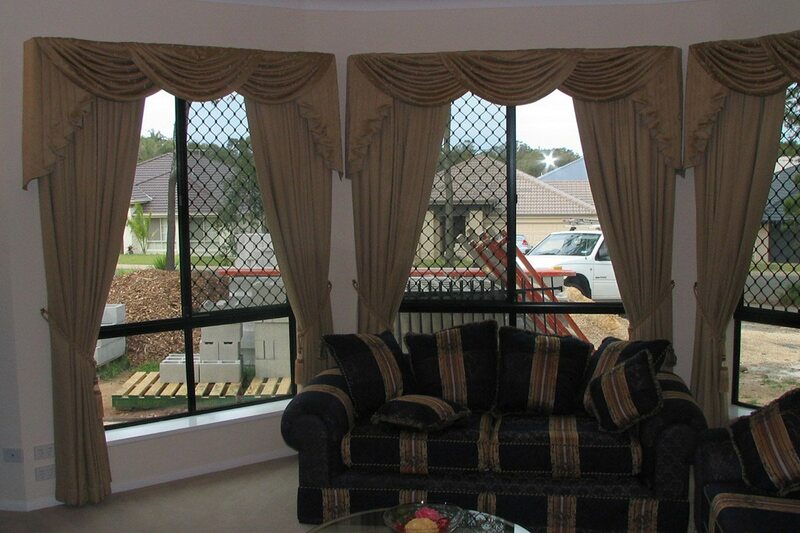 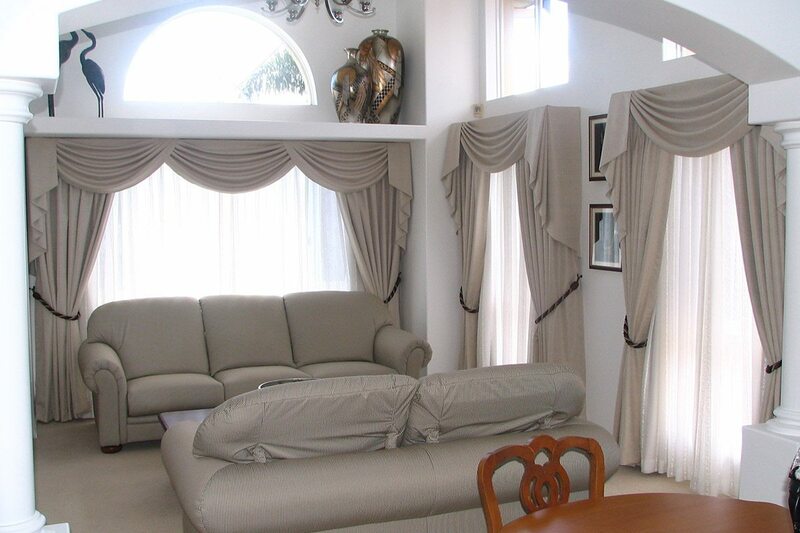 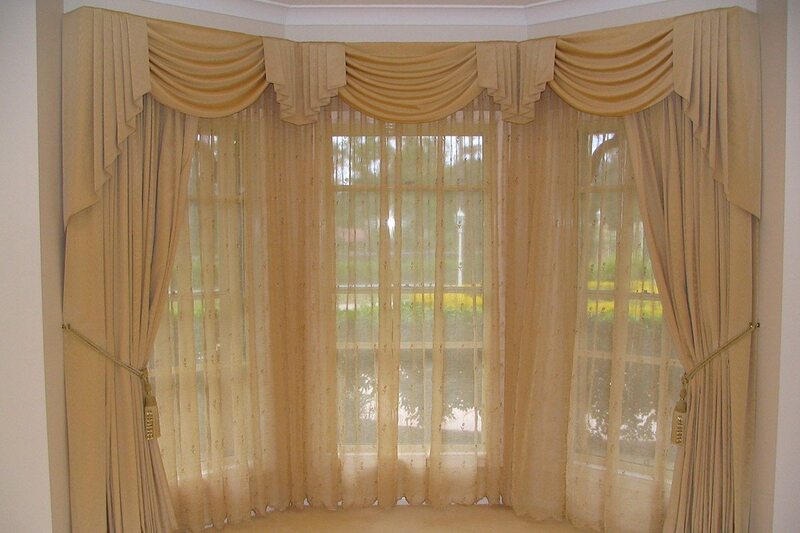 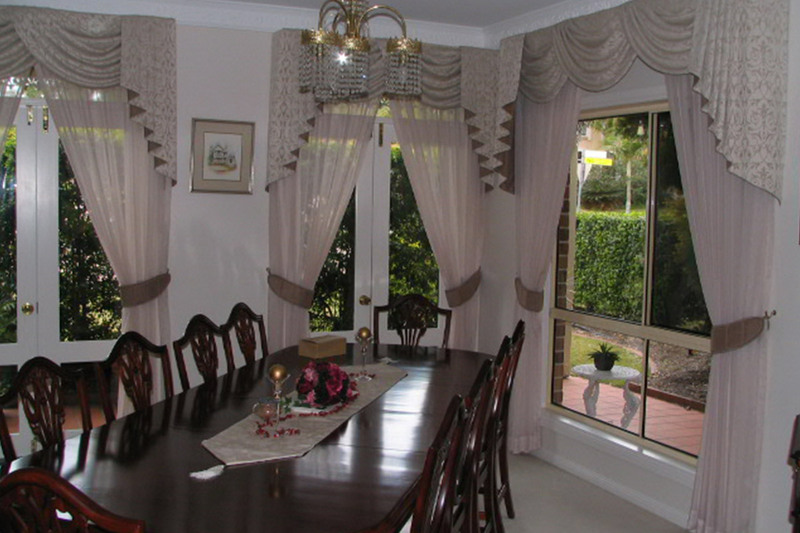 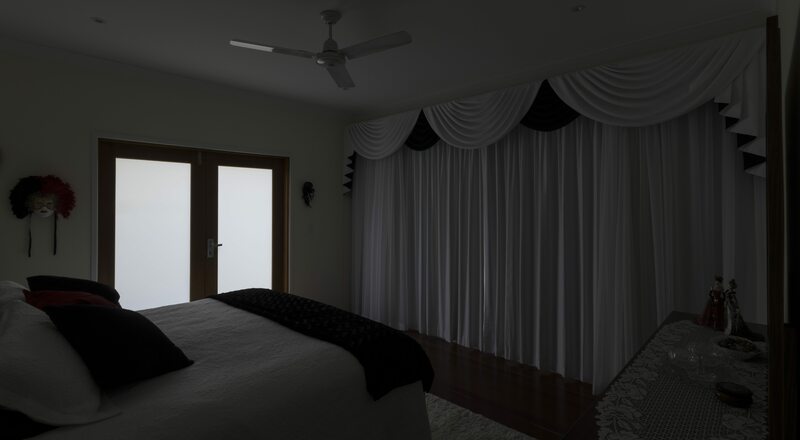 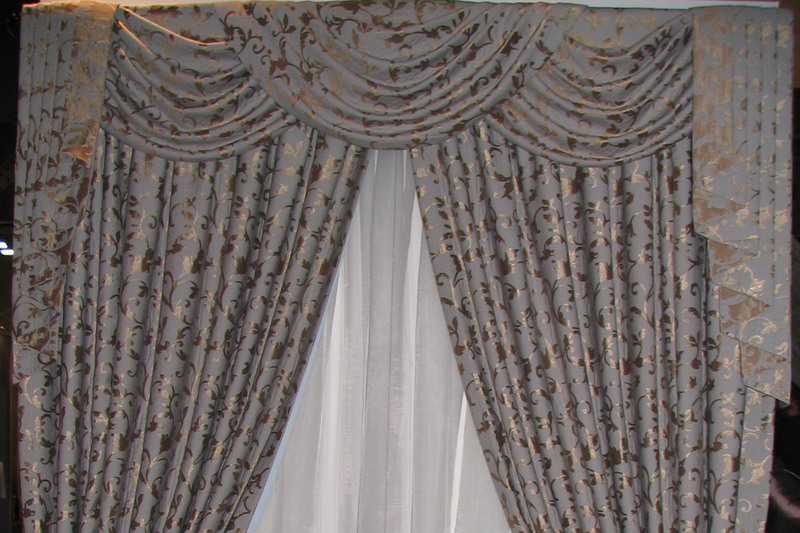 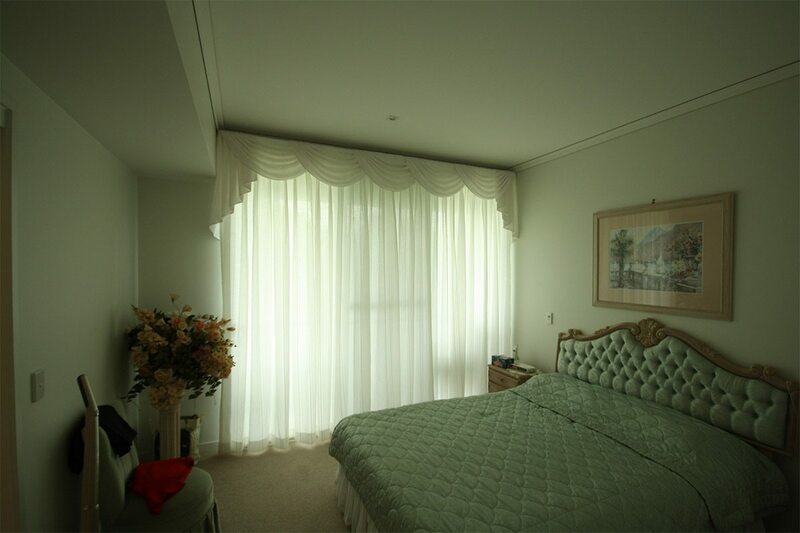 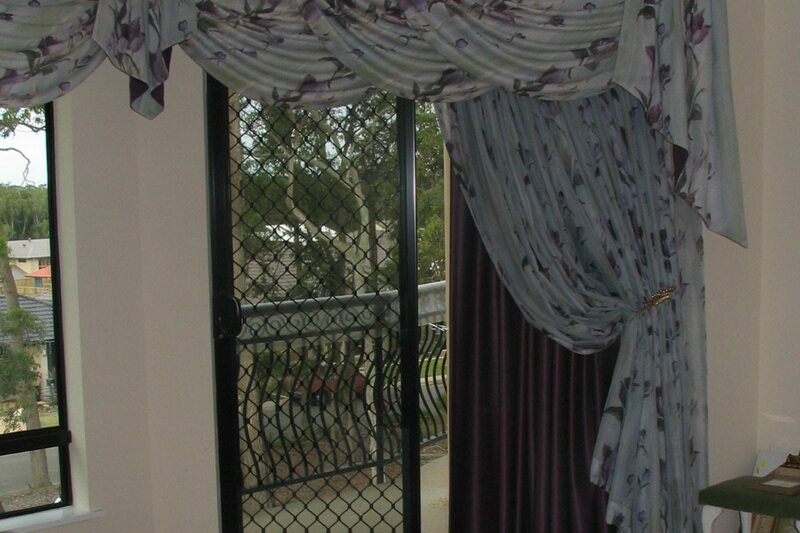 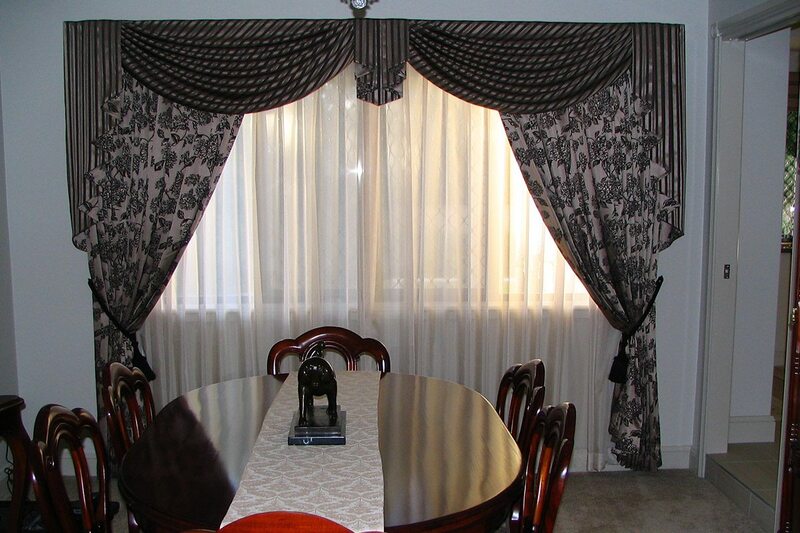 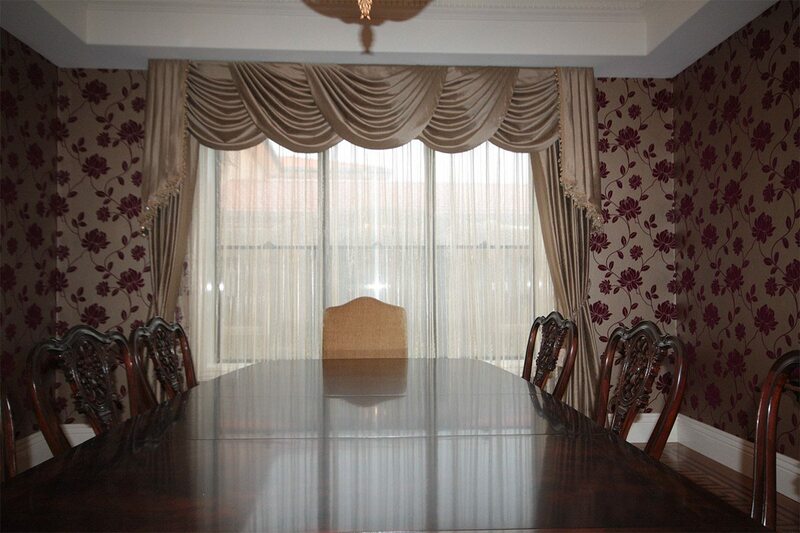 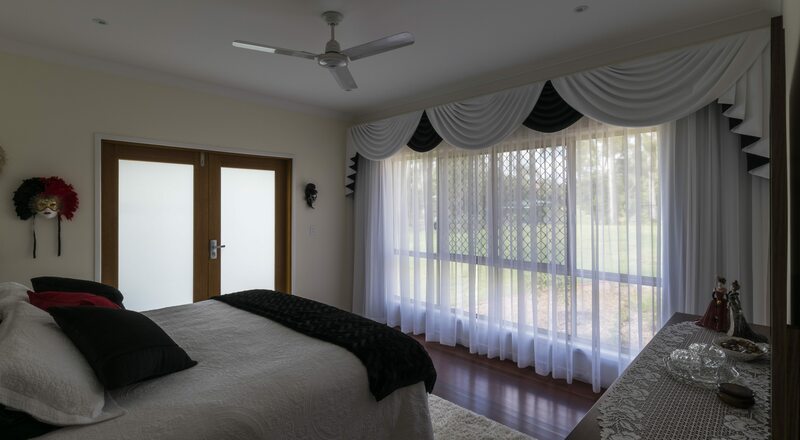 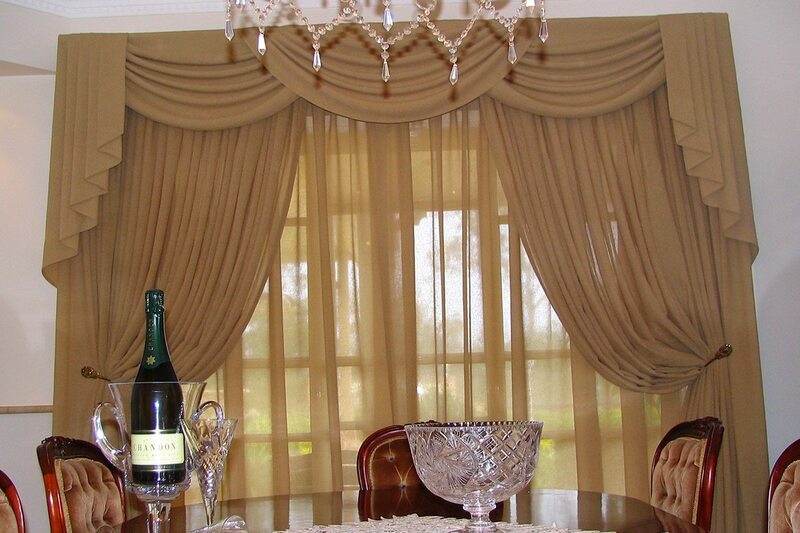 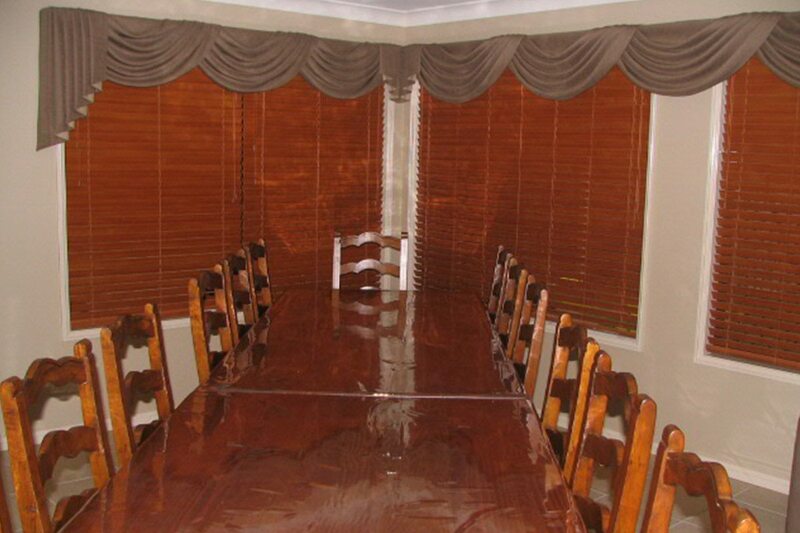 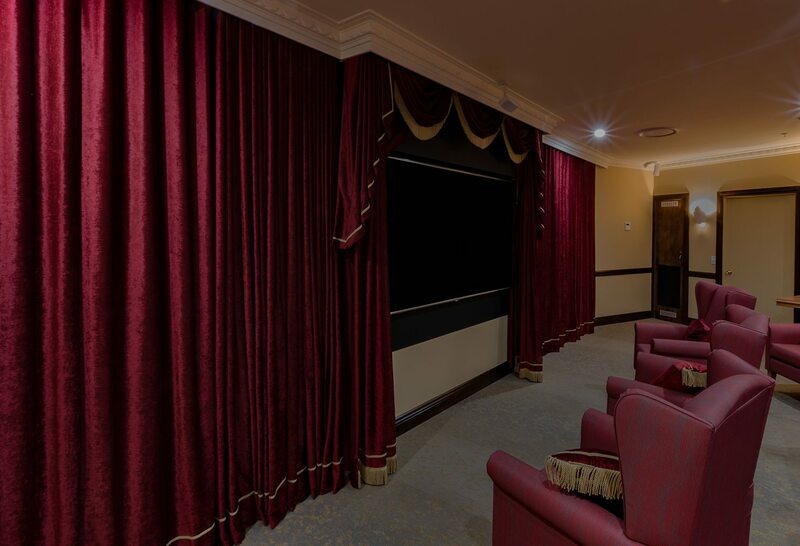 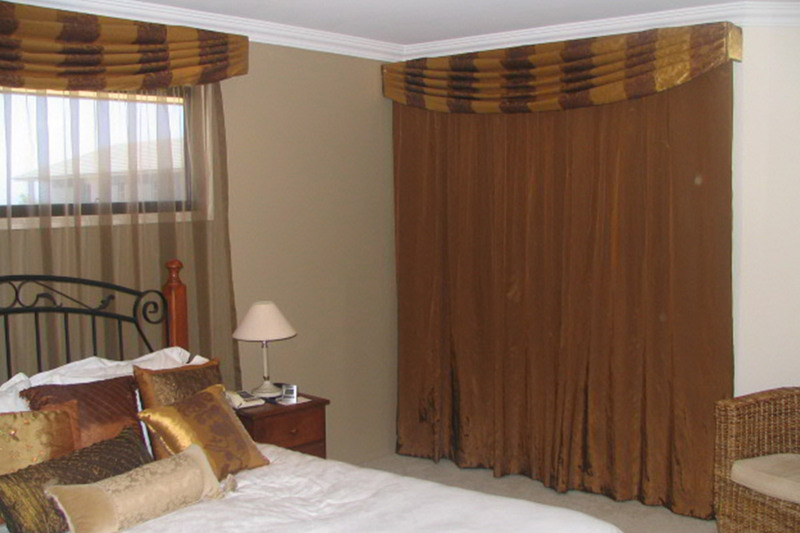 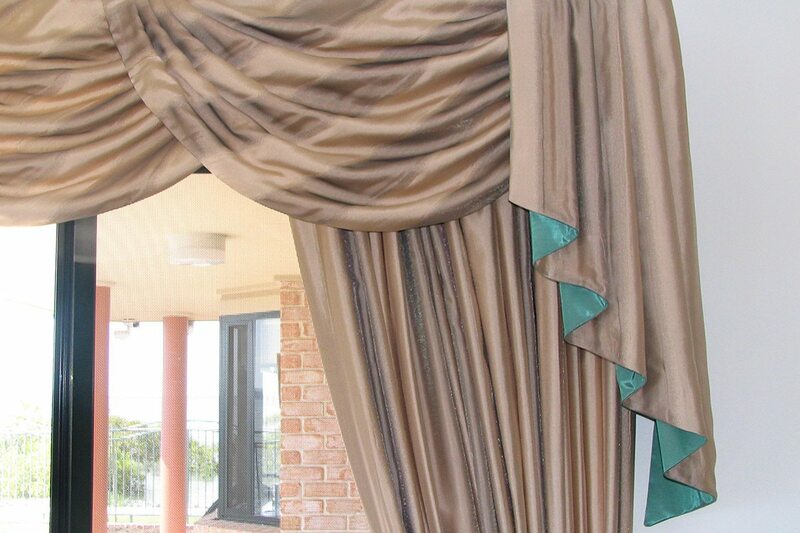 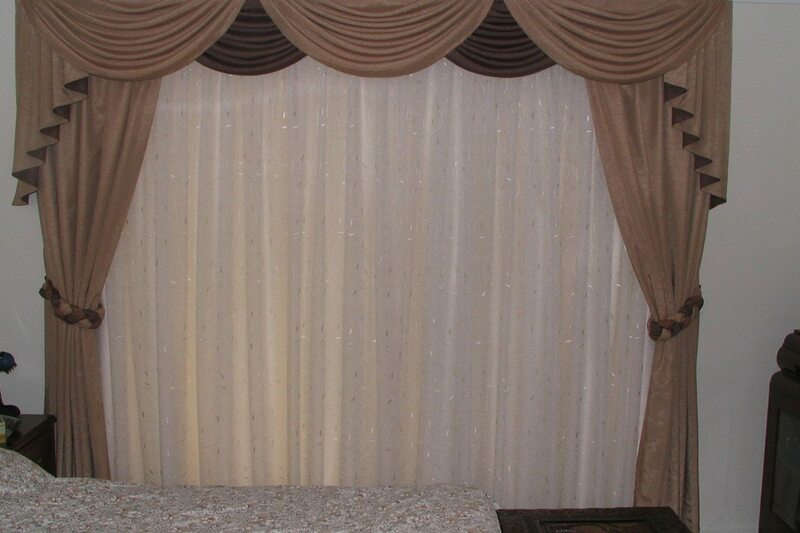 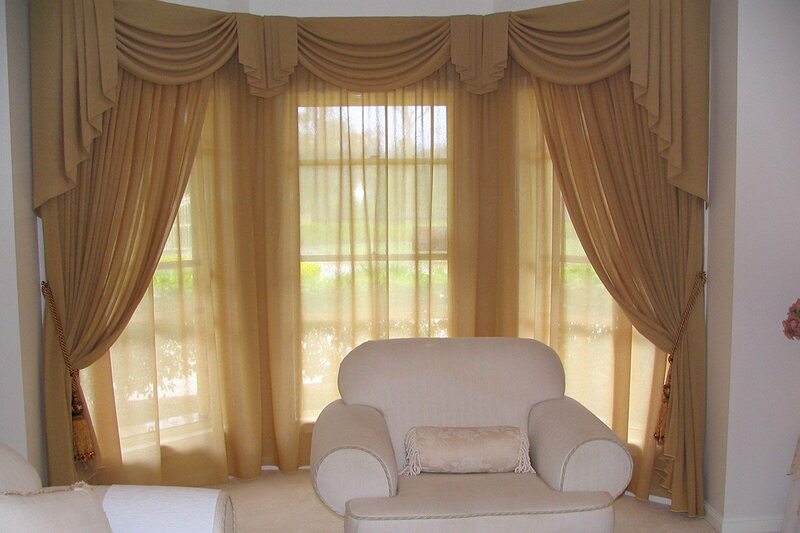 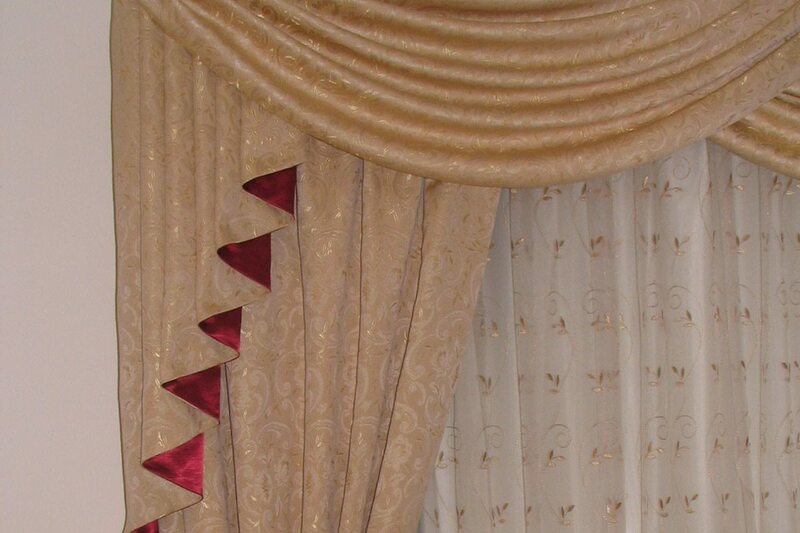 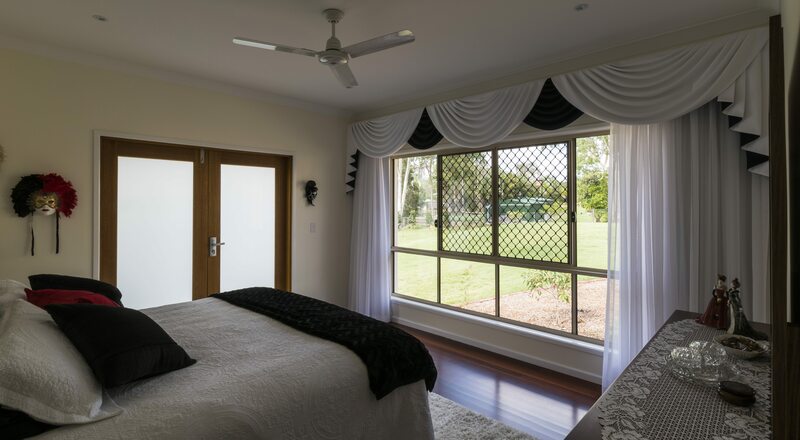 Swags and tails with curtains to match, with a sheer behind.